Laboratory needed for IEC environmental simulation testing of electrical enclosures including corrosion tests in artificial atmospheres and salt spray tests as per IEC 61084-1:2017, IEC 61537:2006, BS EN ISO 1461(formerly ZS 729) - 2009. Interested in this Electronics Request? 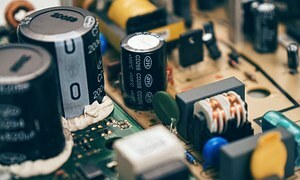 Need Electronics Testing or Scientific Research? Save time and money searching. Simply, submit a Electronics request to find the laboratories or lab suppliers that best meet your needs.